Both World War I and World War II were triggered by a deliberate incident. In the case of World War I it was the assassination of Archduke Franz Ferdinand of Austria. In the case of Worlds War II it was the bombing of Pearl Harbor. 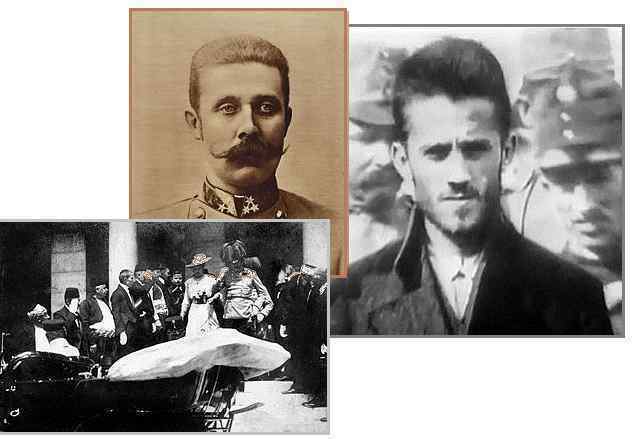 The assassination led directly to the First World War when Austria-Hungary subsequently issued an ultimatum to the Kingdom of Serbia, which was partially rejected. Austria-Hungary then declared war. The attack led to the United States' entry into World War II. The undeclared assault came as a profound shock to the American people and led directly to the American entry into World War II in both the Pacific and European theaters. ZetaTalk Insight 12/24/2016: Starting a World War by a deliberate incident has historical precedence. World War I was started by the assassination of Archduke Franz Ferdinand of Austria, which incited Austria to declare war against the presumed assassin - Serbia. In fact, it was the Black Hand secret society that was the perpetrator, wanting war. 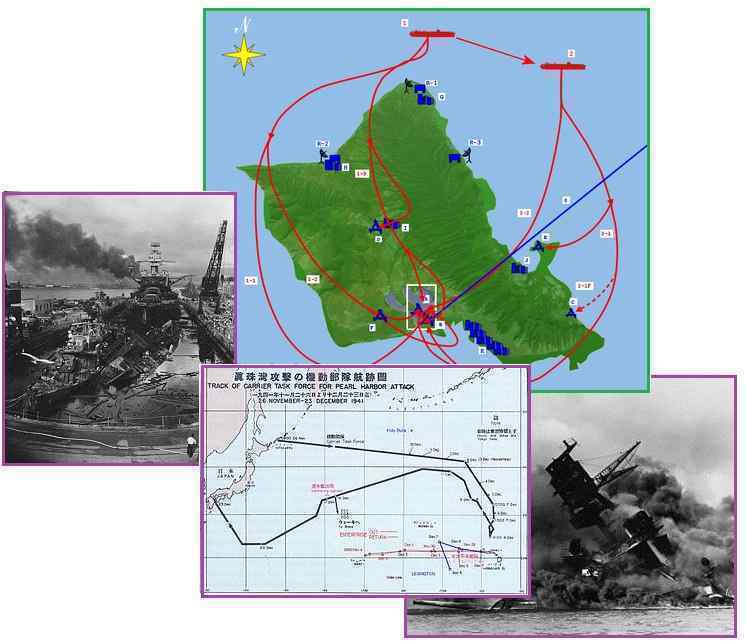 World War II was already rolling but became a World War only after the attack on Pearl Harbor. History has documented that President Roosevelt knew the attack was coming and deliberately allowed it to happen, looking for an excuse to join the war. It has been clear that there are those trying to trigger World War III too. NATO pointed the finger at Russia for the downing of MH 17, when it was clear that fighter jets flying from Kiev were responsible. It was clearly not a BUK missile that shot the plane down. 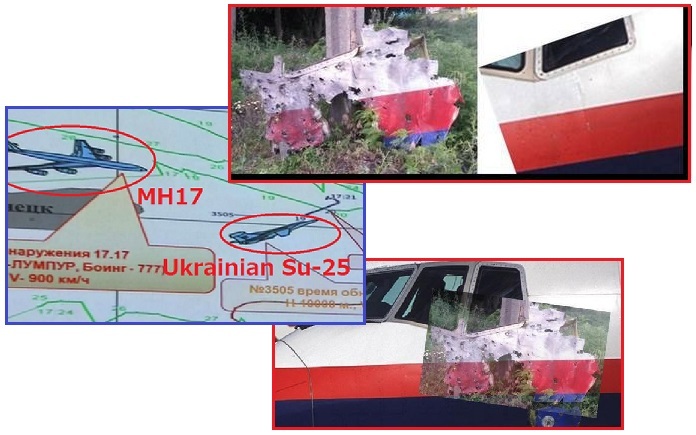 Transmissions between the frantic MH 17 pilot and air traffic control in Kiev was also later destroyed, and the knowledgeable air traffic control agent disappeared. Obama refused to provide US satellite images, while implying that Russia was somehow to blame. 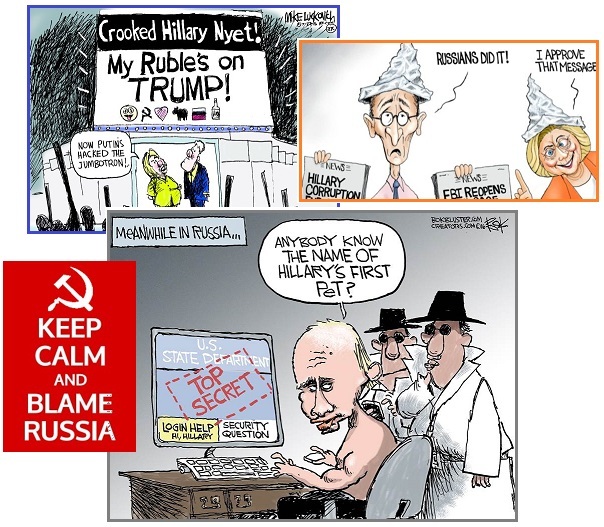 Though the hacking of the DNC and Podesta emails was the Anonymous group and Wikileaks via Seth Rich, the Hillary campaign chose to blame the Russians. However, when asked to see the proof of this claim, the CIA and NSA refused to provide any documents whatsoever to a Congressional inquiry. When none of these maneuvers worked, and Putin refused to take the provocation, the group trying to trigger World War III openly shot a Russian ambassador in the back, on live TV. Per the Zetas, they will not succeed. The Turkish police officer who killed Russian Ambassador Andrew Karlov has been identified as Mevlüt Mert Alt?nta? of the Ankara Riot police. Alt?nta?, 22, was a graduate of Izmir Police School. He was not on duty when he made the attack at an art gallery on Monday, according to two Turkish Security sources who spoke to Reuters. Russia's foreign ministry confirmed that the ambassador, Andrew Karlov, had died in the attack. Alt?nta? was shot and killed after assassinating Karlov. Maria Zakharova, the spokeswoman for the Russian Ministry of Foreign Affairs, has announced that they qualify the assassination as a terrorist attack. Russian MP, Alexey Pushkov, voiced similar sentiments, calling the shooting “a result of political and media hysteria around Aleppo sown by the enemies of Russia.” The assassination comes at a highly volatile moment in Russian-Western relations, with Russia bearing the brunt of a variety of accusations ranging from responsibility for Hillary Clinton’s loss to Donald Trump, the success of the Brexit movement, and the Syrian government beginning to overcome ISIS in key battle zones. Russia, Turkey and Iran were scheduled to hold talks tomorrow regarding the on-going conflict in Syria. This murder is clearly a provocation aimed at undermining the improvement and normalization of Russian-Turkish relations, as well as undermining the peace process in Syria promoted by Russia, Turkey, Iran and other countries interested in settling the conflict in Syria. ZetaTalk Insight 12/24/2016: Look to who wants a war with Russia to ensue for the perpetrators of the assassination of Russian ambassador Karlov. One is supposed to presume it is Turkey, as it was a member of the Turkish police who pulled the trigger. He was recruited because of his personal feelings, but he was not the hand behind the assassination. Though Soros is dead, his agenda is still well funded and running strong. Turkey is a member of NATO, thus if Russia attacks or turns on Turkey, then the European war between NATO and Russia has begun, and the US is technically required to join due to NATO treaties. Why would NATO and Soros and the Hillary crime family and the Jewish bankers in control of the IMF and World Bank not simply want peace? They are losing control. Trump has made his opinion on NATO clear. It is an anachronism, a leftover from World War II. To renew the alliance, there must be war! Soros considered himself a kingmaker, and wanted Europe to push into western Russia, into their oil and gas fields, for the benefit of Europe. Thus, he incited the coup in the Ukraine. Soros also wanted chaos in the US. As a hedge fund guy, he always won from chaos. But he also wanted Martial Law declared as soon as possible so the elite, presumably, would be protected from the masses. Soros and wealthy Jews supported Hillary because she would not prosecute Wall Street or the 911 insiders – the Bush crime family. 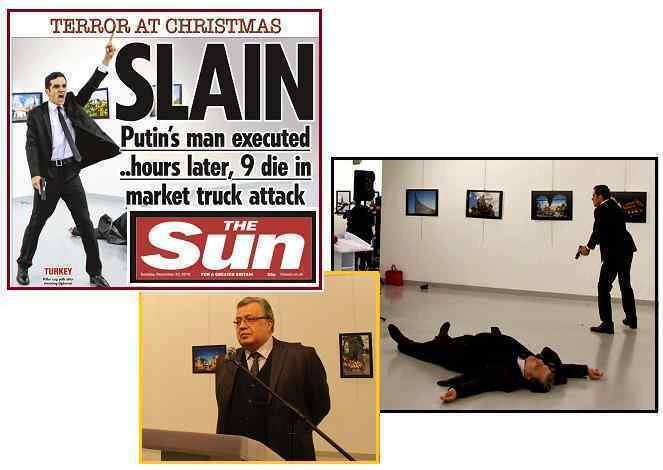 The timing of the Karlov assassination is very significant. It was on the day the US electors were confirming Trump as president, in fact hitting the news just ahead of the voting process! 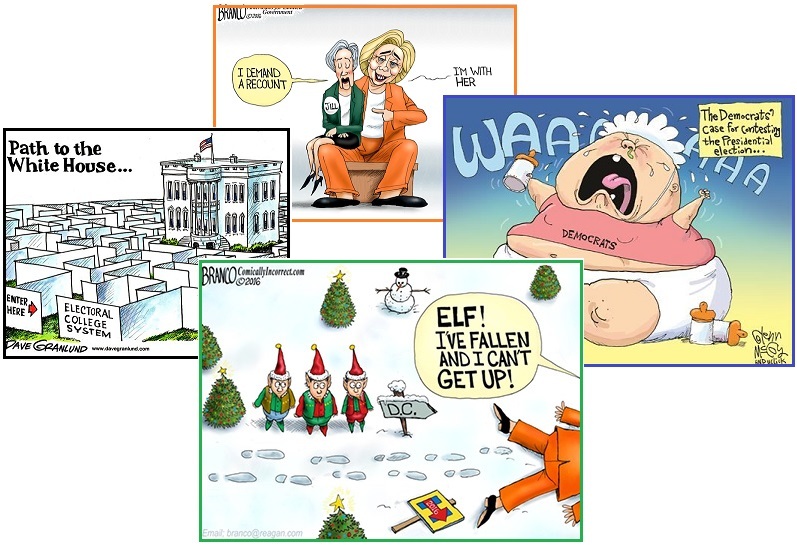 Nevertheless, neither the electors nor Putin have been fooled, played as fools, and will not react as Hillary or those wanting World War III had hoped. Trump survived all the election fraud planned to help Hillary win. First, the GEMS system, used in 16 states, where embedded software allows the manager to enter shaving percentages. This shaves votes off the targeted loser and allocates the shavings to the chosen winner. 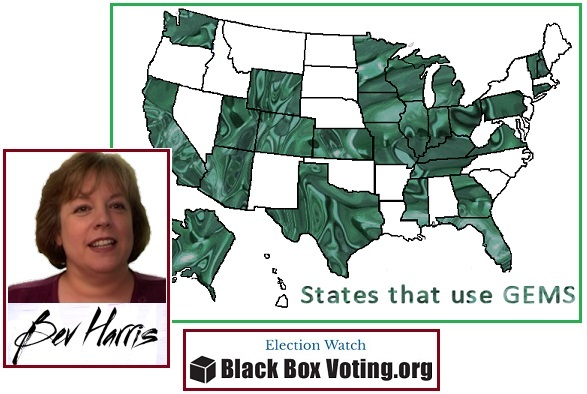 Bev Harris of Black Box voting demonstrated the technique, a simple keyboard entry by the GEMS manager. This fraud cannot be detected by anti-hacking oversight as the hacking happens inside the central counting room, at the keyboard. This is not the outside intrusion the Department of Homeland Security (DHS) was concerned about. It is an inside job! 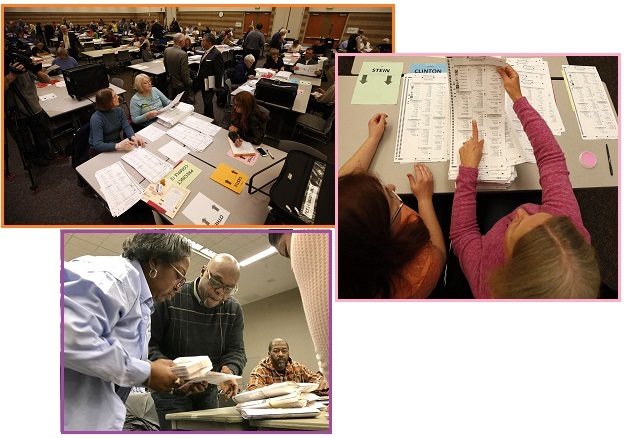 This report summarizes the results of our review of the GEMS election management system, which counts approximately 25 percent of all votes in the United States. This tampering is not visible to election observers, even if they are standing in the room and watching the computer. Fractions in results reports are not visible. Votes containing decimals are reported as whole numbers unless specifically instructed to reveal decimals (which is not the default setting). All evidence that fractional values ever existed can be removed instantly even from the underlying database using a setting in the GEMS data tables, in which case even instructing GEMS to show the decimals will fail to reveal they were used. The DHS official — speaking on background because of the subject’s sensitive nature — explained that hackers of all stripes are constantly testing the digital defenses of every state’s public-facing election systems. The fact someone pinged it doesn’t mean there’s a breach. The fact someone passes by, or runs a quick test on the database and doesn’t get through, that happens every day with every major database. By preventing GEMS counting systems from shaving votes, the projected “win” for Hillary was countered by the true vote. Per the Zetas, this was just one of the techniques used by the Transformation Team to counter fraud. The compliant media had Hillary winning by reporting fraudulent polls stacked with too many Democrats so her “win” would appear expected, nothing amiss. The same election fraud techniques were used against Sanders. As the Zetas mentioned, Sanders did not lose the primary, it was stolen from him. He won in the caucus states where vote counting was done openly, in public. But where done by voting machines, he lost to Hillary. ZetaTalk Insight 11/12/2016: The GEMS vote collection machines had been shown to be able to be programed to alter the election results in the states where GEMS is used. Democratic election workers in Florida were caught filling out absentee ballots for Hillary. Electronic voting machines refused to register a vote for Trump. The polls were skewed for Hillary by mixing in too many Democrats, so the public would not be shocked when Hillary stole the election. 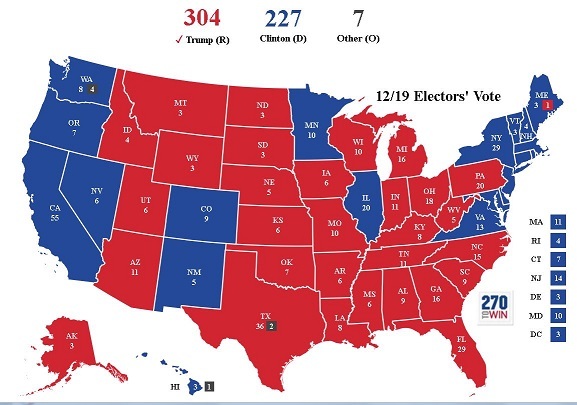 And major media outlets like CNN and NBC were declaring that Hillary would win by 315 electoral votes. We, the Zetas, teleport a human into a control room, freeze all others in the room, and reset the GEMS program set to steal votes for Hillary. We, the Zetas, inform human teammates on where wifi vote swapping was to occur and if the perpetrators were not stopped, wifi static was used. This is a partial overview of the techniques used in 2016. ZetaTalk Comment 8/6/2016: Does no one wonder why Sanders won the caucus votes during the primary, but lost in general when the votes were collected by machine? How could this difference exist? A caucus is hard to steal, when monitors are present and recording the votes, but electronic numbers can be quickly switched or erased. But there was more than just insider hacking of the vote totals. There was also ballot stuffing. In all cases discovered and reported by the press, this was for a Hillary advantage. During the recount, only Wisconsin completed its recount, giving Trump an additional 131 votes. The Pennsylvania petition was filed late by Stein and never got out of the court system. In Michigan, counting began and then was stopped by both the state and federal courts. What was discovered in Michigan were too few ballots in Detroit for the counts reported. One ballot box had 60 ballots but was marked 306 ballots. The ballots had been run through the scanners multiple times. All this, of course, for Hillary. Voting machines in more than one-third of all Detroit precincts registered more votes than they should have during last month’s presidential election. Optical scanners at 248 of the city’s 662 precincts, or 37 percent, tabulated more ballots than the number of voters tallied by workers in the poll books. In Wayne County a Detroit ballot box contained only 50 of the 306 ballots listed in a poll book. The next hurdle was December 19 when the electors met at their respective state capitols to confirm the will of the people. Electors had reported for weeks that they were under intense pressure, even death threats, to vote for Hillary. Saturday Night Live (SNL) had a skit about Hillary pushing herself on the electors. Tens of thousands of letters or email a day are being reported. Despite this, when the electors met, it was Hillary who lost to “faithless” electors. Trump lost 2, but Hillary lost 5, and in fact lost 7 as two of her losses were countered by state law. Trump survived the election, the recount, and the pressure on the electors. Electors around the country are being harassed with a barrage of emails, phone calls and letters — and even death threats — in an effort to block Donald Trump from being voted in as president by the Electoral College. “Somebody threatened to put a bullet in the back of my mouth”. 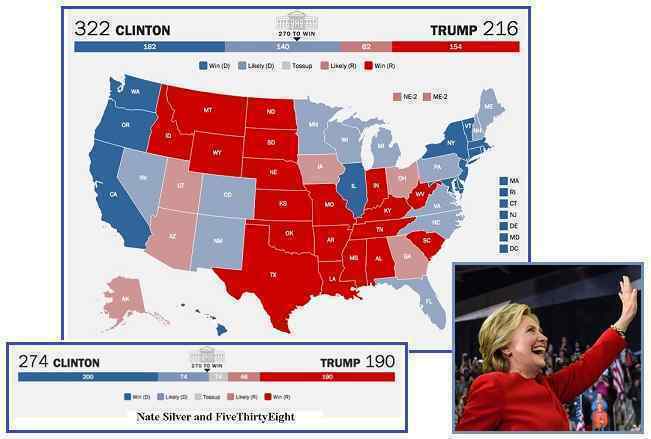 Trump received 304 electoral votes to Hillary Clinton's 227. Trump was put over the top by electors in Texas. Thirty-six of the state's 38 went for Trump, while two ignored the state's Election Day results. One voted for Ohio Gov. John Kasich and one backed former Texas Rep. Ron Paul. In Washington state, four electors opted for other candidates, instead of backing Hillary Clinton. Three cast ballots for former Secretary of State Colin Powell, and one backed Faith Spotted Eagle, a Native American activist who's been involved in the North Dakota pipeline fight. If no candidate reached 270, the House of Representatives would have held a vote when Congress reconvenes in January. If there are any faithless electors, those will show up in the O (Other) column. Strange sounds were heard in the Mariana Trench by ocean going robots. After a few days, it was decided that these sounds were made by Minke whales. However, where the chirp at the end of each long moan did indeed sound like Minke whales, the mysterious long deep moan did not. 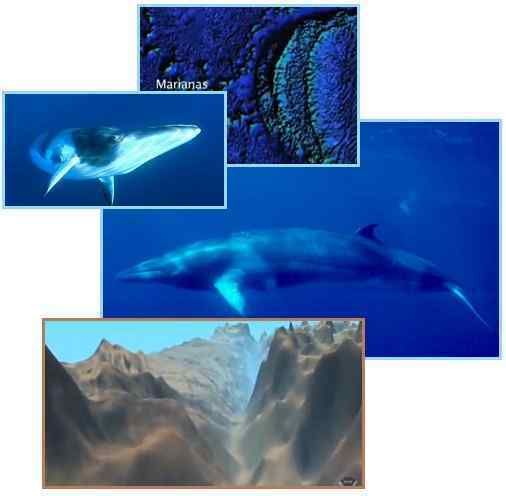 Per the Zetas, the Minke were talking to each other about the long deep moans, but that noise was the Mariana Trench compressing. The call was recorded with autonomous seafaring robots, known as "passive acoustic ocean gliders," which can dive up to 3,280 feet (1,000 meters) below the surface. Nieukirk and her colleagues collected their acoustic data in the fall of 2014 and the spring of 2015, in an area in the Pacific Ocean east of Guam around the Mariana Trench, the deepest part of the ocean. An otherworldly noise that was recorded near the Mariana Trench could be a never-before-heard whale call. Dubbed the "Western Pacific Biotwang," this newly discovered call might be from a minke whale — a type of baleen whale — according to the researchers who documented the vocalization. Regardless of what species it is, this whale has range: The call includes sounds that span frequencies that reach as low as 38 hertz and as high as 8,000 hertz. Humans can hear sounds between 20 and 20,000 Hz. The low-frequency moaning part is typical of baleen whales, and it's that kind of twangy sound that makes it really unique. We don't find many new baleen whale calls. If it's a mating call, why are we getting it year-round? ZetaTalk Comment 12/24/2016: There are indeed whale sounds in the recording collected in the Mariana Trench by a seafaring robot, but there is more. Minke whales have a “boing” sound at high frequencies, and these are audible in the new Mariana recordings, but there is more. It is assumed that the low moaning sounds are from the whales, because their boings follow the moaning, but this is just the whales talking among themselves about the moaning. There are plate movements in the area, a folding Philippine Plate and a folding Mariana Plate, and this is rock on the move creating vibrations in the trench. This matter is covered up, as usual, by assigning all to a cause other than Nibiru. And as always when the plates are being squeezed and on the move, the Trumpets return. This has been frequently covered in this newsletter. A key necessary element is water, which vibrates in step with the vibrating rock, thus the sound. Spokane Valley does indeed have water, on all sides. And indeed, the Mariana Trench and Spokane, WA are on the same latitude. The Pacific, under compression, causing the Earth to sing. 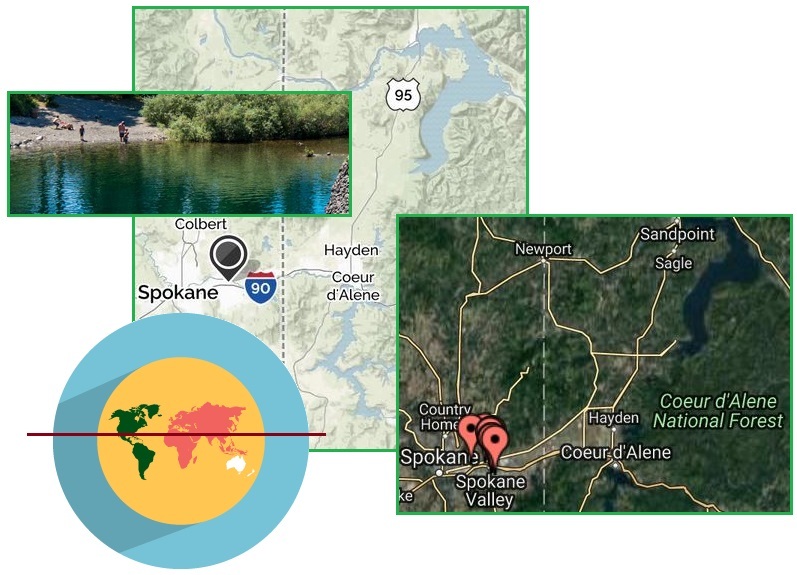 Local media outlets in Spokane valley, a suburb of Spokane, jumped right on the story the night of December 14th, reporting thousands of people – one estimated at least 27,000 people would have been exposed to it – heard the mysterious sound from 10:30 pm to 5 am … a sound that many described as a trumpet, which always stokes apocalyptic fears.